That was Google co-founder Larry page using the word “Google” for the first time to refer to queries. Back then, people weren’t familiar yet with the idea of search engine. But as the term spread like wildfire, the searching process became an essential part of people’s everyday life. According to the latest estimates by instant live stats, Google searches only amount to 71,543 search in 1 second. Not to mentions other search engines like Bing, Duck Duck Go and others. 1. The person is looking for a certain website or brand name and they simply can’t remember the name or the URL, they will just try their luck and enter some keywords then browse the results for the one they need most. They might click a few wrong links at first and keep going back to the results page until they land the right page. 2. 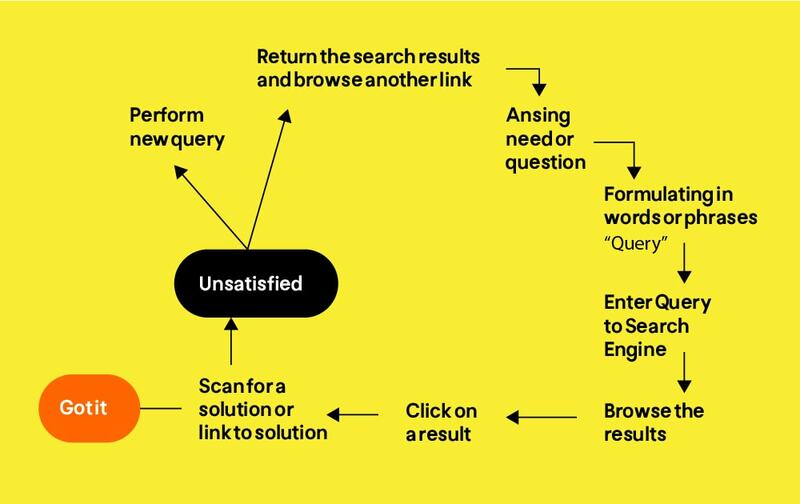 The person is looking for an answer to a question, validating a piece of information like a street address or a football match results, they whether enter the query and get results instantly in a Google unique boxes or browse the results until a link grabs their attention by noting a certain need. 3. The person is trying to do something online like booking a flight ticket, playing a song, downloading a movie or reading a book or even making an amazon order. Their search queries will be mainly for finding companies that provide this services or online websites. And regardless of the queries, most of the people will go through the same flow while searching for answers. They have a need and they will go online to fulfill it, and in order to get your share of the searches, you need understand what makes people click and conduct a strategy that matches their desired outcomes. For instance, if you're the best shoe maker in the world and still trying to rank for a keyword that nobody searches for, then good luck getting known. Ranking on the web is not as hard as it seems, however, it should not be taken for granted. It’s a strategic process that requires planning. For instance, you need to know your audience first, then know the words you are competing for and design content or even pay for search rankings that would place your valuable content in front of those who needs it. But before diving into the rabbit hole, you need to understand some basics that would help you establish a better online presence. Search engines perform two prime functions: They crawl/index and show results. Behind the scenes, a search engine has massive amounts of data stored in databases all over the world. They were collected through crawlers, the automated robots of a search engine that goes through every URL on the web. In our example, if you’re looking for best books of 2018, the crawler will automatically bring the latest articles and mainly the results with books from 2018 only to achieve relevancy. But if this doesn’t happen, you will be frustrated to have results that doesn't fulfill your need. The second factor which is popularity is generally determined by the audience who looked for this keyword before. The engines observe and understand the basic comments, likes, backing to every online piece of content. And if a site is ranking high for a certain keyword and getting a high CTR, the crawlers assume that the information inside must be useful and as a result, it will rank higher. And as the process of ranking is complicated, the algorithms working use mathematical equations to first get rid of the irrelevant results, and second rank the output with regard to quality. Search engines are not humans so they don’t process the information the same way we do. That’s why there might be a little percentage of non accuracy in some queries. However, humans’ metrics for relevancy differ as well, which makes building an engine that fits all a dreamy goal. Search engines have limits. So having a perfect design with high quality content is not enough. The engine gives you a good start point, however, if you want to appear for those who are looking for your product or service and need it most, you need to make some customization. In other words, you need an SEO strategy. Over the years, website owners and the SEO strategists tried to manipulate the algorithms to rank higher using methods like stuffing the website with the keyword they want to rank for or creating pages that backlink to each other creating an infinite loop. 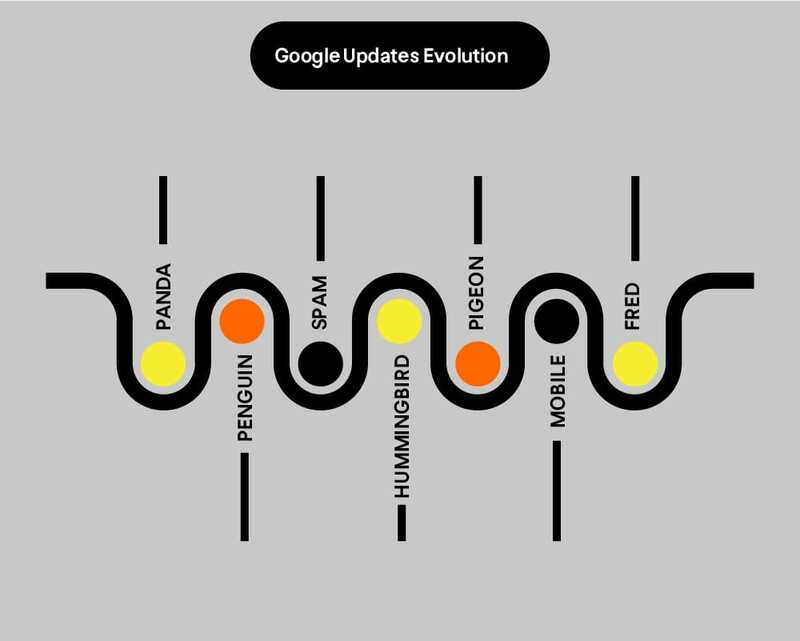 Luckily, the crawlers got smarter with time and as the search engine companies worked on their algorithms, the user experience evolved and spammy links are receding. For example, each version of Google engine forced higher quality standards on website owners. The latest updates even marked websites using http as non secure and encouraged shifting to the new format. The latest major Google algorithm update for now, Fred is targeting websites with low quality content and lots of ads. The SEO strategy is more than just a keyword research or some guiding documentations, it requires in depth analysis of the current status and a website audit. And In the following part, we will walk you through the process of consolidating a strategy that brings results in house, bear in mind that these steps could vary depending on the project status whether it’s a newly launched website or a an existing one with high/low results. In its simplest form, a target audience are the people you wish to appear to, those are your potential or recurring buyers. Knowing your audience means spotting on their interests, the searches they regularly perform and the burning needs they have so you can appeal more useful for them. If you are familiar with the industry you're working on, then all is left is conducting a research to segment your market then finding your ideal audience, and in case you know your ideal audience already, then you’re halfway to pitching them. The further required should only tackle their pain points as the base for our strategy. You can conduct a meeting with the sales team to learn more on the customers needs, concerns and the frequently asked questions they propose. 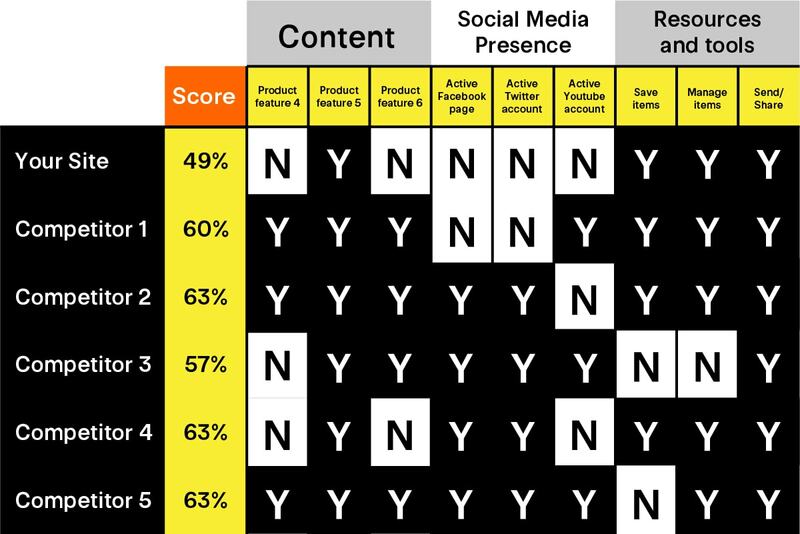 Social bakers: when it comes to social media reports. Crowd analyzer: social media specially working for the MENA region. Government websites of the country you’re targeting and their official reports. Big organizations like Uniceif also provide free data. Going through all of these analytics will leave you with some formed impressions, along with the business and client insights, you will certainly have some suggestions like targeting women mostly or writing more content about a certain topic. Whatever you conclude, place it in the suggestions section with a detailed specification on why it’s important and the data you relied on. Before starting out, you need to set the stage. Use the excel sheet provided to categorize the tabs based on your persona, website pages, the services provided or any other metrics you find suitable. Feel free to create as many additional tabs as needed and in case you're working on a big brand that targets different group of people, it’s better to use a whole new excel for each category so you can easily access and sort the information inside without having to go through 50 tabs. In the excel you have many tabs, one of them is for entering the keywords, the second is for the search volume and other columns like CTR and referrals are for calculating your performance, but that is in the next steps. Now, let’s pour some keywords! Using any of the available keyword research tools like Ubersuggest or Wordtracker, or the keyword tool, you can start collecting the relevant keywords based on your categorization. Start with one general keyword to figure out what people are searching for in your industry, you can also spy on your competitors and figure out the keywords they are ranking for using tools like Keyword discovery. Keep browsing and generating keywords, if you found a list that is compelling to a great extent with what you’re looking for, export it to the excel sheet and do some manual refinement removing the keywords that are completely irrelevant to your website or has extremely low search volumes. In case you’re interested in global search volume, make sure that the data collected are not not exclusive to a certain country or search language, otherwise, you will be comparing your global referrals with local search volumes which means inaccurate CTR. The above method of keyword research is only a suggestion and in case you have your own tools or methods feel free to use them, but bear in mind that categorization is a must so you can skip the hassle of so many unrelated keywords in the same tab. 1. An excel sheet that has the keywords categorized. 2. A clear idea of the topics and terms you need to consider while crafting your strategy. Now you have all the keywords in place and ready for some math! First, you need to highlight the tabs that have the highest search volume, so you know that this specific group of keywords should be paid the largest attention. By doing this, you will be ready to move into the keywords inside. In case you’re using a tool that gives you identical numbers, you can simply use the following equation to highlight them all at once. 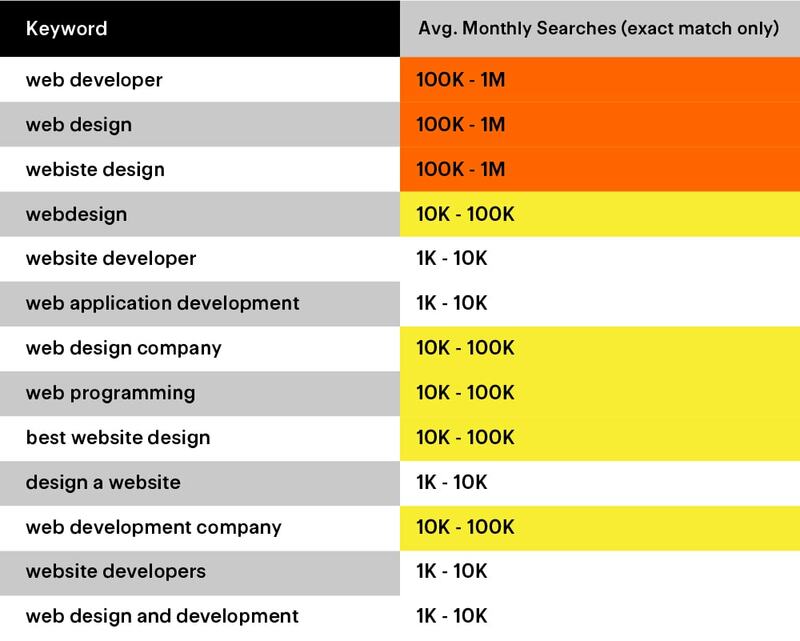 Remember that you can always highlight the keywords you find important based on other criteria like your company name for instance. In this example, the tab name was interaction service and the keywords volume is classified into three categories: low, medium and high based on the search volume level. After that, we are going to do gaps and opportunities analysis. Gaps happen when there’s content for a certain term but the referral from that term is very low, and opportunities happen when there is high search volume for a certain relevant term but no content to bring those searchers to our website. Got the logic? Let’s move on! Assuming that you did a fully comprehensive keyword research, searching for each keyword in your analytics system is just inefficient and time sucking process so you need to take a sample of 20 keywords from each tab and base your decisions on them. There are many ways to do that, based on your target market, high volume search terms or tail keywords search. Do whatever you feel appropriate but remember to select the terms you want your website to rank well for, not the terms it already ranks well for. Now start pulling the referral data from your analytics system -whether you’re using Google marketing platform or any other type- and paste it in the referral column already created in the excel sheet. Your referral data should be on the same time of your keyword research. For instance, if you’re pulling the referrals of Jan 2018, then you should compare it to the keyword research volume of Jan 2018. Also, the data should contain only the organic searches performed not the PPC and as mentioned earlier you need to determine the scale of your search whether its global or local. You can easily notice that the CTR column has changed automatically as the equation worked. After finishing you need to sort by the highest CTR to the lowest. Now you have your keywords listed from the highest converting ones to the lowest, and ready for spotting gaps and opportunities. Gaps are created when you have content with low click through rate (CTR). Keep an eye on your search volumes and referrals, keywords that have very high search volume but very low referrals and CTR are the target. You might notice that you need to optimize your website by creating extra pages or removing ones and that’s totally accepted in the pursuit of doing the optimization. By figuring out the reasons behind these gaps, you will reveal the secrets blocking this site from performing better, and it’s totally left to your skills as a strategist to suggest recommendations for the issues on the website and write it down in the strategy document. For the opportunities, the analysis might be a little easier as you need to spot on the keywords with zero referral that has high search volumes and document why you think it’s important in the strategy document. 1. The strength points of your website on which you should capitalize and keep working. 2. The opportunities and gaps of your website and a clear action steps and strategies on how to deal with each of them. Maybe the competitors operating in the same field don’t have a website or mainly relying on social media so their existence is weak but still their sales volumes are huge. Sometimes the most relevant keywords to the industry are booked by websites that are not considered a competitor to our business. That means the business competitors are not enough and if you want to have a real competitive analysis, you need to do it for what the search engine displays. But how do you find online competitors? The most basic way of doing this by typing the keywords you need to rank for and seeing the websites that appear in the results. However, you will still need a more in-depth and organized way of discovering your competitors. You can also gain more insights by using a tool like Spyfu , Semrush or Buzzsumo to analyze your competitors domains as well and see the keywords difficulty for ranking. Today’s definition for SEO is more than just a good ranking, it goes beyond that to the specific product features and details of every page to know what makes their website really unique and different. We need to go through their offerings and CTAs, as we mentioned earlier, crawlers rank based on what users find valuable in a website so we need to figure that out. Keep in mind that you’re looking at these websites features from the target audience perspective as they are the one show determine the site actual value. For example, if your persona is a fashion designer and mainly interested in new clothes hacks, you need to know what makes the competitor rank for this keyword and drag all the attention. While progressing in this template, keep in mind that it will differ based on every project. The following is just an illustrative example and as you have the template you can modify and add sections as needed or as you find it logical. Now go through the competitors websites to figure out why they rank higher, with each new features, tool, guide or tweak made in the website you find relevant, add it along as you go and take notes whenever something pops up in your mind. What they like about you? What they like about the competitor that you don’t have? What they dislike about you? What they dislike about the competitor? Use tools like this to get an in depth analysis of your competitors website and spot on the red flags they have then determine which ones are worth noting in the strategy document and which can be solved with the default SEO practices. Use any of the available online tools to analyze the competitors websites and find the internal links it has and you can even analyze the anchor text used in those links. The purpose of this stage is figuring out the relations between websites and who links to whom. 1. An excel with the complete competitive analysis that you can handout to your clients. 2. A clear idea of your competitiveness and what can be done to make your content remarkable. After going through this process, it's time to let go of all your captivated ideas and insights! Starting with step one where we defined our audience, moving to a categorized keyword research, gap/opportunity analysis and finally spying on competitors. Go through the persona template you created, extract the data about your audience that matters most to your client like the needs you will capitalize on and the trends that got their attention..etc. List down the keywords you highlighted along with the tabs with the biggest search volumes and anything you think will be of value to show to your clients. Add the gaps where you think there’s weakness points and opportunities where you think there’s a chance for optimization. Make sure that the client understand their competition in search by displaying their competitors and explaining why each one of them is a real deal competitor. And from your competitive research, extract the data you think your clients might be interested in hearing. For instance, make sure your client knows what their audience dislike about their website, service or product, the major crawl issues you figured out and insert your inlink comparison and any other piece of information you believe is important. Provide solutions to the problems you highlighted already and feel free to add whatever sections needed or even create new deliverable that explains SEO best practices in detail. When writing your recommendations, it’s best to create groups based on who will be the final responsible for implementation and sort them according to priority. Gathering all the sheets and templates together, you're ready to go and launch a masterpiece website! SEO is not a one time and for all! so remember to visit your templates from time to time and keep them updated with the latest discoveries after you optimize.